Sometimes a couple makes my job so easy it almost seems wrong that they're paying me... And Camila and Mike were definitely one of those couples. Posing them was a breeze! 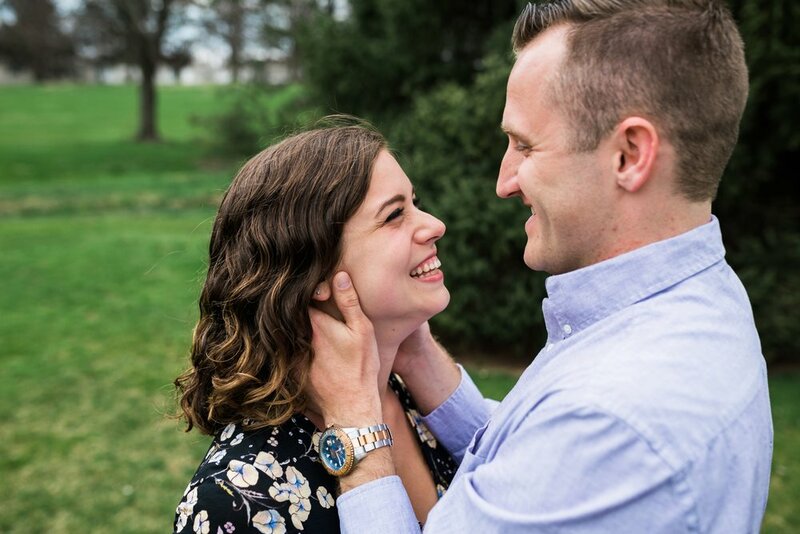 Like all engagement sessions, we went over the core poses (cheesy names and all!) so that on the wedding day we'll quickly be able to get into poses. As soon as I had their feet and hands in place and out of the awkward "what do I do with my hands" stage the rest of magic. All they had to do was look at each other and they couldn't stop smiling and giggling. Any photographer's dream! I typically give my clients prompts and sometimes even games to play with each other so they feel more comfortable, relaxed and are able to laugh with each other naturally. But with these two they just didn't need it! We went back to the exact gazebo that Mike proposed to Camilla at at the Greenfield Park. It was the perfect backdrop for lots of snuggles, practicing their first dance, and of course all the giggles. 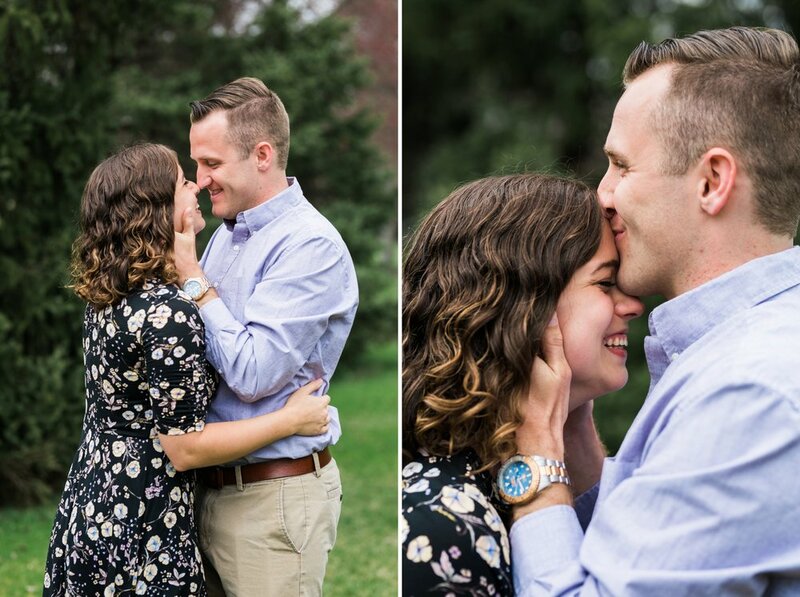 I can’t wait for their wedding day at The Hershey Country Club!